Are Your Gums Receding? Call Your Dentist in Cocoa Beach Today! When you look in the mirror, have you started to notice a change to the appearance of your gum line? Does more of your tooth’s structure appear to be exposed? If so, you could be suffering from a receding gum line and should contact your dentist in Cocoa Beach right away. When your gum tissue starts to shrink back, it is a sign of an underlying issues that must be treated to prevent future dental complications. With quick action and a proactive treatment plan, you can restore your oral health. Can I Stop the Damage? Using a soft-bristled toothbrush and changing the force at which you brush and floss. Using orthodontics to properly align your teeth. Using a nightguard to protect the teeth and gums from the pressure of grinding and clenching. Improving your oral hygiene habits by brushing twice a day and flossing each night before going to bed. 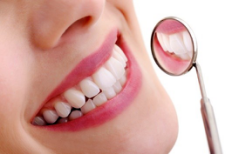 Treating gum disease and creating a proactive plan to prevent it from occurring in the future. While these changes are often beneficial, if the issue has gone untreated for too long or the recession has become severe, they may not be enough. Your dentist may suggest the use of a gum grafting procedure. How Can Gum Grafting Help Me? Gum grafting is a special procedure that is used to thicken the tissue over certain areas that have caused the tooth root to become exposed. During the procedure, the teeth are cleaned to remove plaque and tartar. A local anesthetic is used to minimize any discomfort. Then, tissue from the patient’s palate or from a tissue bank is placed into a small pocket in the tissue that has been made using a small incision. Sutures are used to stabilize it. Generally, healing will be complete in about 6 weeks, restoring your oral health and your gum line. If you have noticed that your gum line is receding, do not wait until it is too late. Contact your dentist right away for treatment. Dr. Gary C. Nawrocki has provided comprehensive dental care since 1980. With a focus on reconstructive and cosmetic dentistry, he rehabilitates oral health while also improving the aesthetics of your smile. If you need treatment for gum recession, contact Nawrocki Dental today to get to the root of the problem. Comments Off on Are Your Gums Receding? Call Your Dentist in Cocoa Beach Today!